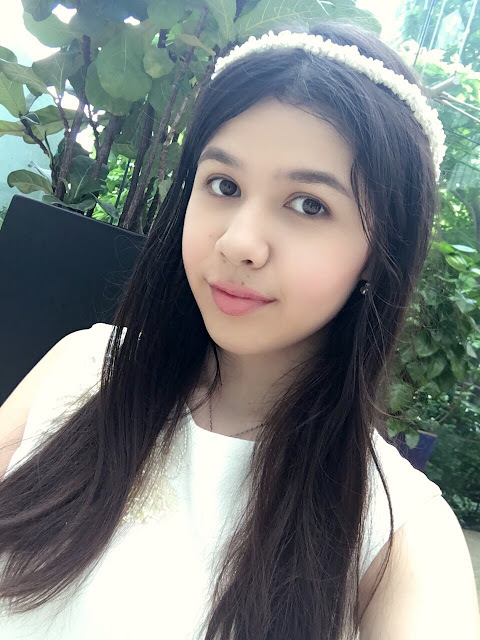 What's happened in the past week? 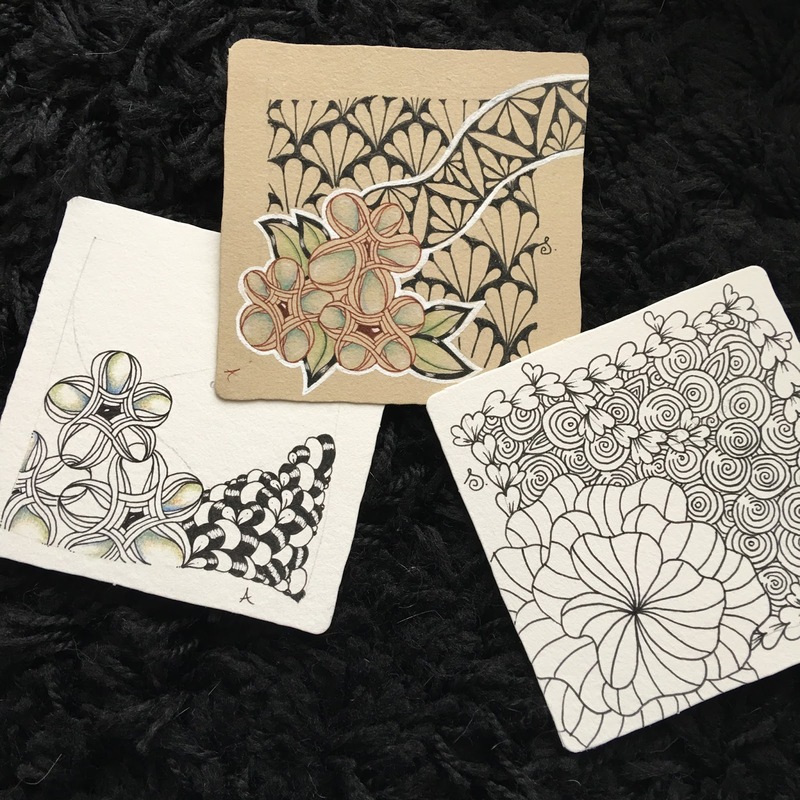 I've been busy teaching Zentangle classes. My work schedule is a hot mess and every single day starts and ends at very different timings. However, it's been extremely fulfilling, very rewarding, and I am constantly reminded about how lucky I am to be able to do what I love for a living. You can view pictures of the actual event (plus what the participants created) by clicking this link. And because I've been so busy sharing the Zentangle method with others, the time I have to create things has dramatically been reduced. But when there's a will, there's a way. Cadent-Paradox hybrid thingie with Zonked as the background. 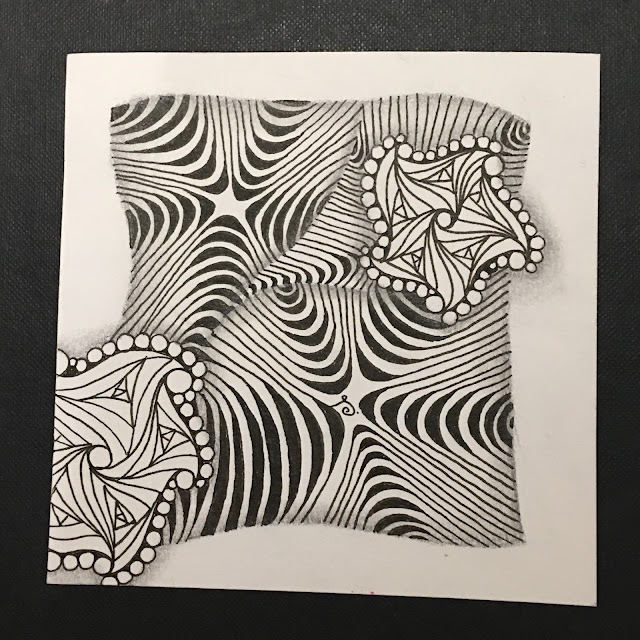 You can find out how to draw that Cadent-Pardox tangle by watching this video. I taught "Featherfall" in one of my classes. Here's what one of my students did. 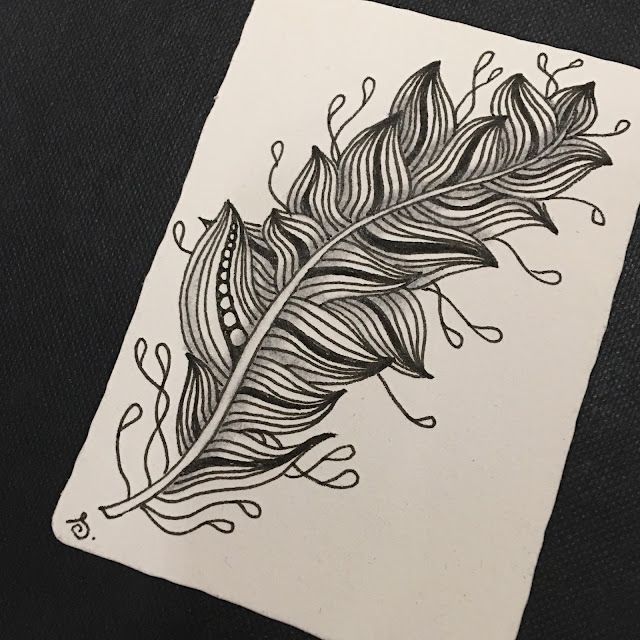 And I liked that class so much that I created an ATC with Featherfall. I'll be sending it to my godmother who's living half-way round' the world in New York. 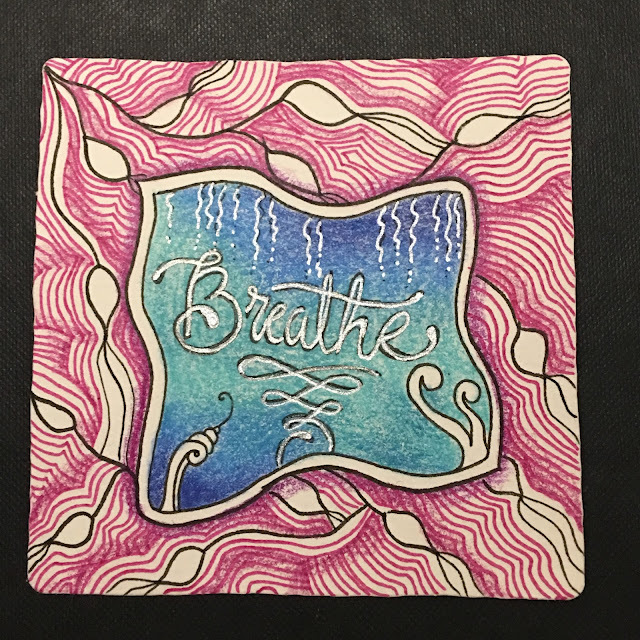 I completed this tile with Muniza Askari for the Travelling Tangles Project. She did the pink and black Yuma. I added the "Breathe" typography" and shading with coloured pencils. It's been a while since I last worked with coloured pencils, so this was good fun. And lastly, a page from my sketchbook. 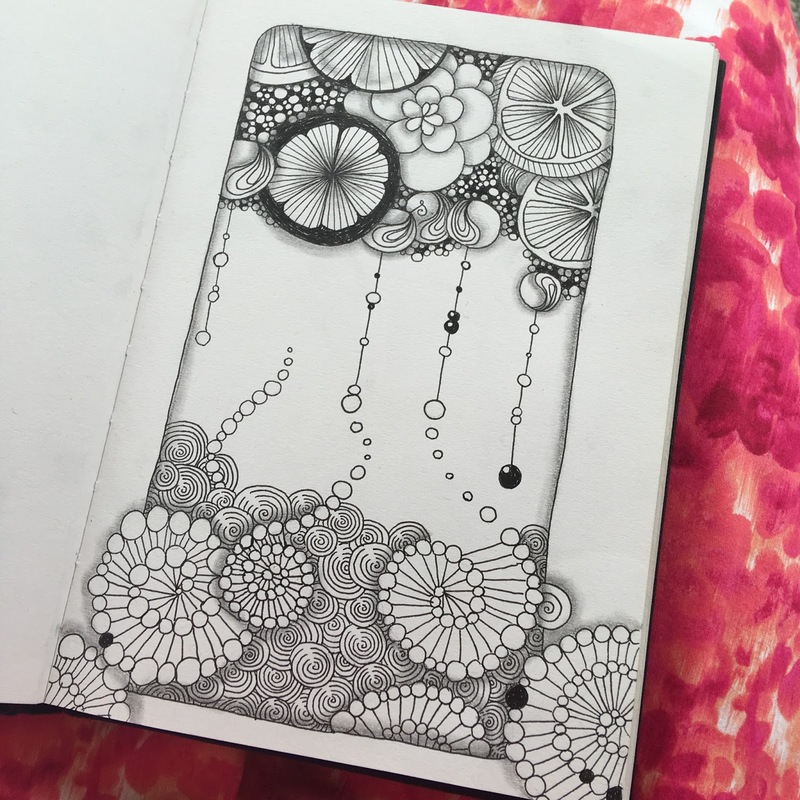 I always start things in my sketchbook and never get around to completing them. But because I've been out of the house a lot these past few weeks, I've managed to complete more drawings in my sketchbook. Drawing on the train is challenging but fun. Here, you see Citrus, Cruffle, Salo, Printemps, and lots of Tipple. And that's about all I've got for this week. 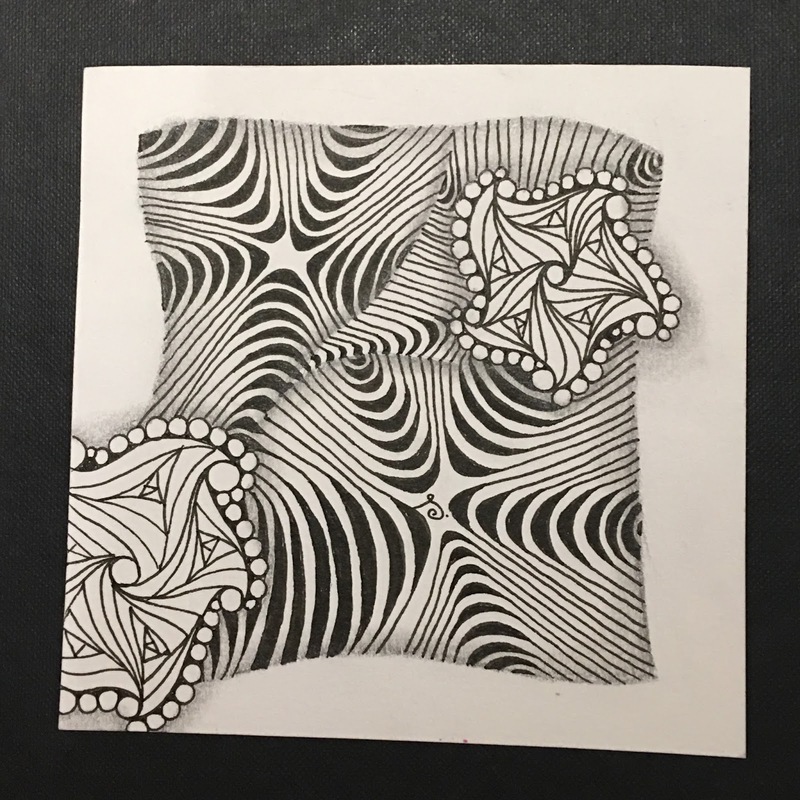 I've been *trying* to participate in weekly Zentangle challenges, but never get around to finishing them in time. However, I think I make up for it by all the other pretty things I do manage to complete. :) I hope you've been inspired. Till' next week. 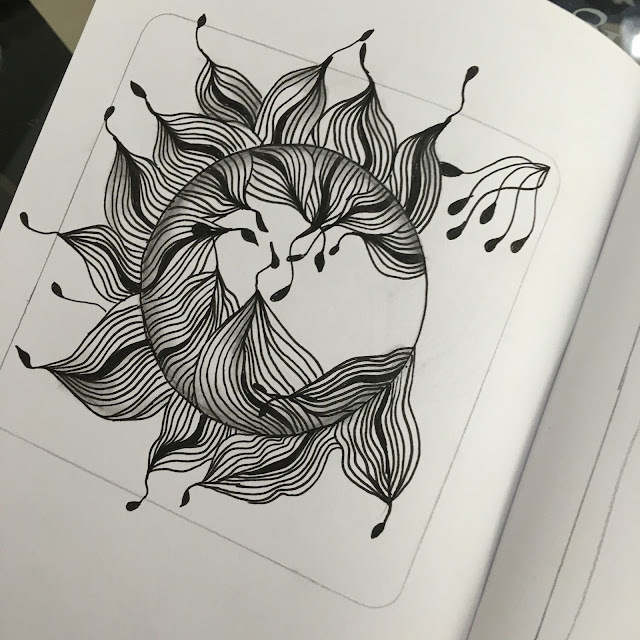 Keep tangling!